There was a time when I didn’t like chai. I’ll say it again, because I know you don’t believe me. Maybe the kind I tried was too spicy or something. I’m not sure what kind of bad experience I had with chai to make me say such a thing, but thankfully, those days are gone. I was a kid, okay? I didn’t know anything! I didn’t like mayonnaise, either! Now that I’m no longer young, ignorant and close-minded, I love chai in all its shapes and forms. Hot with coconut milk and a little maple syrup. Iced. With a shot of espresso, if I’m feeling extra sassy. 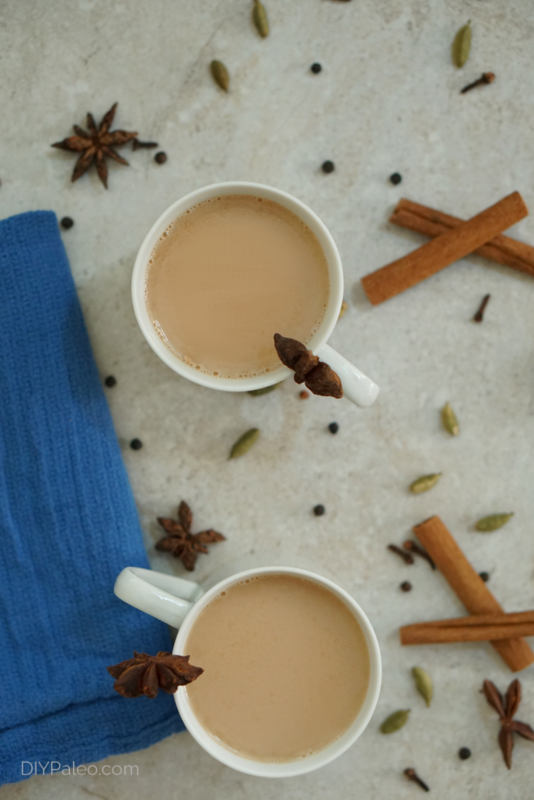 And this is the traditional chai you’ve been waiting for: a recipe from my mom’s friend, who grew up in India and who I imagine drank this stuff for breakfast, lunch and dinner. The recipe isn’t as complicated as I thought. Double or quadruple the batch, and you’ll have plenty to stock in your cabinet. The secret, I’ve found, is using whole spices. Skip that ground up McCormick’s garbage in a plastic bottle. Go to an Indian grocery store or health food store and find the whole seeds/sticks/pods–some stores even sell them in bulk. Then grind them yourself in a coffee or spice grinder. Using whole spices yields much more flavorful tea. In fact, using whole spices with anything is preferable over ground spices (did you know ground spices lose their flavor after a year?). Boil with water, strain and add milk, and you’ve got yourself some legit chai. 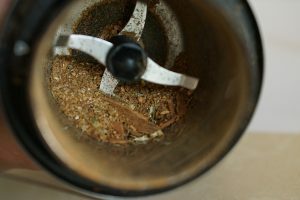 Measure out all spices and place in a coffee or spice grinder. Grind for 10-20 seconds, until spices are mostly ground up (they don't need to be powder--see picture below). Transfer spices to a saucepan with tea leaves and water. Bring to a near boil, then remove from heat and let steep for 5 minutes. Strain liquid into cups; add coconut milk and sweetener to taste. 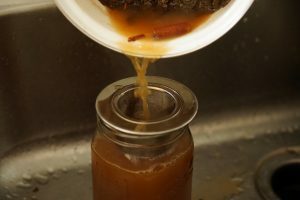 Alternatively, strain liquid into a quart jar and store in fridge. For more long-term storage: grind up the spices, transfer to a glass jar, and add tea leaves. Shake well to combine all ingredients and store the jar in a cabinet. 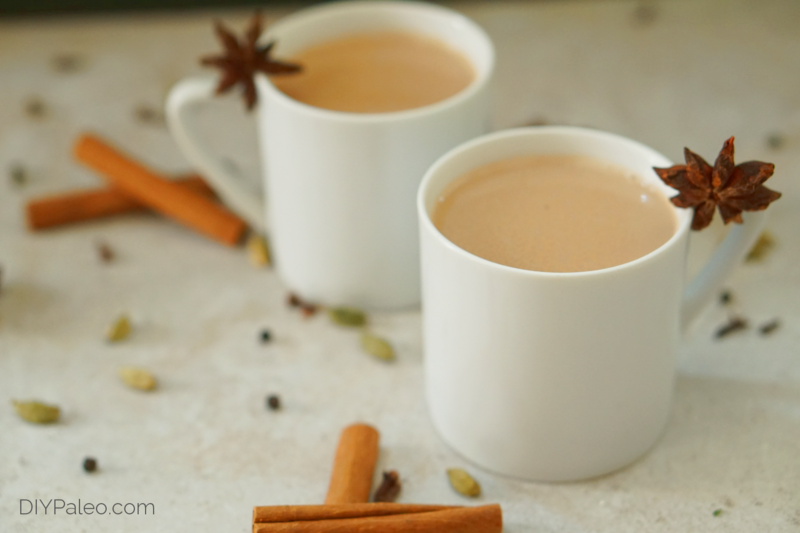 Use one teaspoon of chai per cup of hot water.